Spring Rainbow from the Kenai River in Alaska on a Fly Rod! 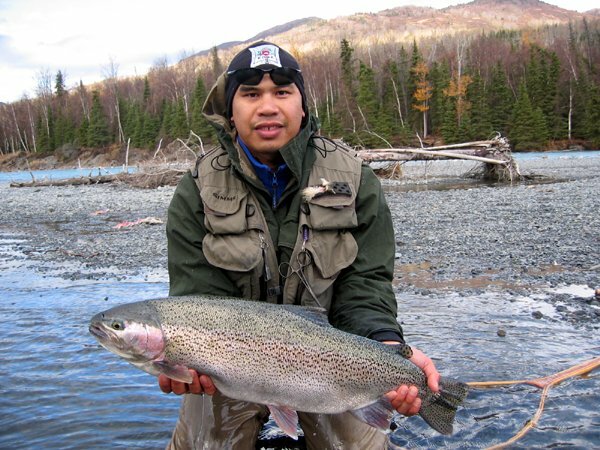 Danny Costanios, of Anchorage, poses with a deep-bellied rainbow taken in the Fall of 2004 on the Kenai River. The fish was taken on a typical flesh fly as illustrated by the one Dan has on his vest.